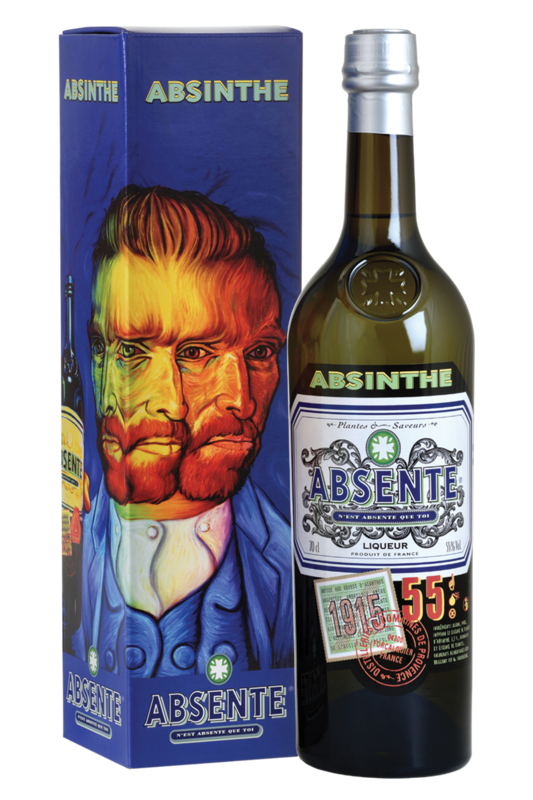 Distilleries et Domaines de Provence | Absente 55 Absinthe | Van Gogh Absinthe | Real Absinthe — Emporia Brands Ltd. Enter into a history packed with taste, the history of a distillery which has inherited ancestral traditions but certainly knows how to move with the times. Distilleries et Domaines de Provence selected the location of Forcalquier, the capital of flavours and fragrances, where it has remained to this day. In the heart of rural Provence, in an authentic setting between mountains and scrublands, it lovingly rewrites the recipes for its Aperitifs and Spirits. No need to wonder where this subtle blend of many flavours originates. It comes from one of the most fragrant regions of France, where expertly selected ingredients are combined to make products worthy of the “Made in Provence” label. Absente is issued from the distillation of Artemisia absinthium associated with the subtle blending of alcohol, mugwort infusion, star anise essence, balm, peppermint and anise distillates. With its limpid and bright colour, Absente was the first legal absinthe liqueur containing thuyone launched in 1998. Nose: A subtle aroma of anise, mint and spices. Palate: A well rounded aniseed feel with the presence of amoise, fresh, spicy notes of lemon balm and mint, finishing with a length of flavour.